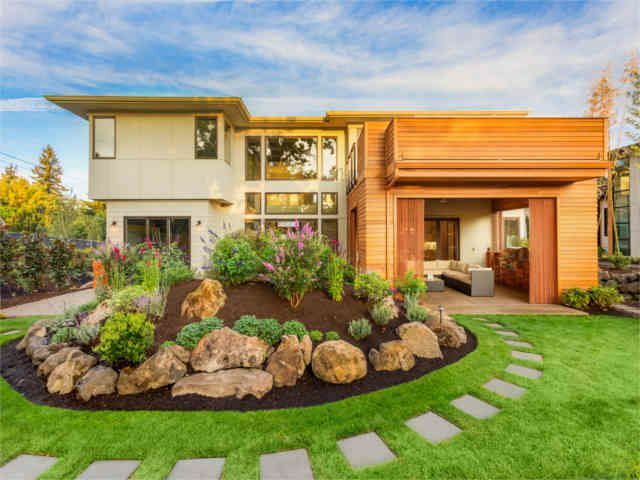 Grass has been a standard part of landscape design for a very long time. Landscape designers use both natural and artificial grass on lawns, sports fields, golf courses, parks, and many other places. Both natural and artificial grass have benefits including environmental, health and safety, and even economic improvements. So keep grass in mind for your landscape design, there are many different ways to incorporate it into your landscape design. You can help reduce the heat island effect from urban development with turfgrass. When it’s hot out, your grass will be cooler than asphalt by 30 degrees or more. Additionally, your grass will be at least 14 degrees cooler than bare dirt. Your community will be happier if you maintain your property and your landscape. If your property has a quality landscape design, you’ll improve your property value, as well as your neighbors' property values. Additionally, your good landscape design is your most cost effective way to improve curb appeal. Well designed and maintained plots of land are one of the more important factors for people deciding where to live. A well-landscaped yard promotes socialization with your neighbors and contributes to a stronger sense of community. Grass can filter all kinds of pollution, preventing it from reaching waterways. The root system of natural grass can stabilize the soil to prevent erosion. In this way, your grass keeps sediment from moving into creeks and rivers. Because your grass is so good at filtering water, it absorbs pollutants like pesticides before they can get into the storm water drains. Not only can using grass in your landscape design help protect against environmental pollution, but noise pollution as well. Because of how dense your grass is, it is very effective at absorbing sound. This one is obvious. Your natural grass is a living organism, just like other plants. Consequently, your grass gets its nutrients through photosynthesis. This process consumes carbon dioxide and releases oxygen. 2,500 square feet of grass can produce enough oxygen for a family of four. Your average sized lawn can capture up to 300 pounds of carbon dioxide per year. A soccer field can trap carbon dioxide and produce oxygen equal to driving a car 3,000 miles. As if you needed more reasons to include grass in your landscape design, your family will breathe better surrounded by natural green grass. If you’re planning to start a landscape design project in Brea or the surrounding areas, call SQLA at (562) 905-0800. SQLA has been helping homeowners and businesses create stunning landscapes since 1996, we can help you too.